Soirée is a French word meaning “evening”. It is an elegant evening party to celebrate the opening of a gallery. Sen Soirée: The world’s first physical crypto-artwork exhibition. 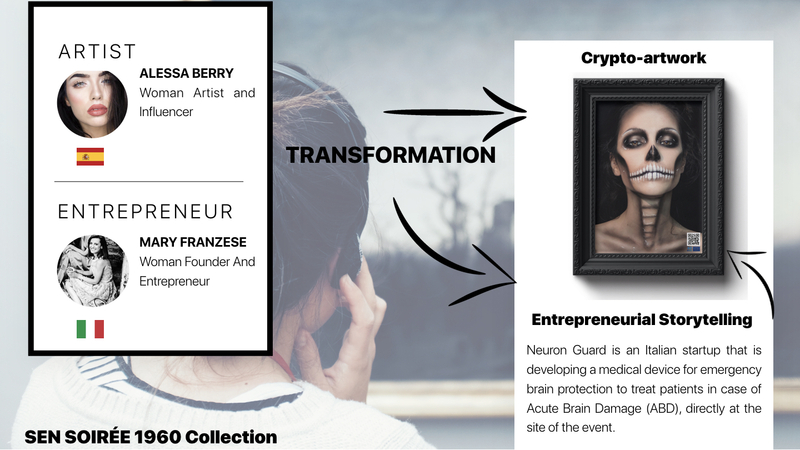 Sen Soirée has managed to transform entrepreneurs and artists into Physical crypto-artwork Exhibition. Using physical crypto-artwork, Sen Soirée creates the perfect cultural & entrepreneurial connections between Europe and the rest of world. 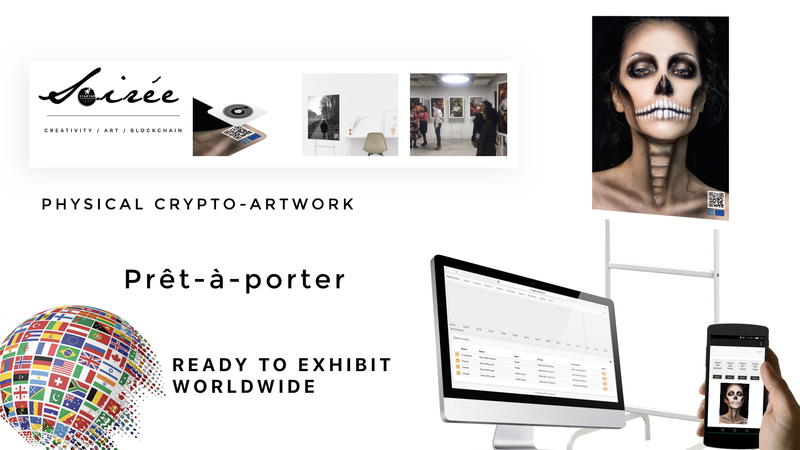 Sen Soirée Crypto-artwork gives emerging artists the possibility to the to be part of the first series of artwork that can only be acquired using cryptocurrency. 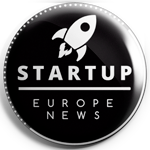 Paris, 20 March, 2018 – SEN Soirée (Startup Europe News Soirée) is the collaborative Media Alliance contributing to the objective of the European Commission. and is the official launch of THE WORLD’S FIRST PHYSICAL CRYPTO-ARTWORK EXHIBITION. This is the first of its kind, which combines artistic photography, creativity and technological innovation that aims to promote emerging artists and new entrepreneurs around the world. It offers exclusivity through the ability to strike a powerful balance between the past and the future. Blockchain revolutionises the art market by solving questions of provenance, transparency, copyright and ownership issues. SEN Soirée produces Crypto-artworks, curates exhibitions, and develops educational projects in collaboration with artists, entrepreneurship communities and institutions. The goal is to implement equality and positive learning outcomes for the new generations to bolster communities through art. The very idea of Blockchains and cryptocurrencies is the source of inspiration for artists. Currently, art is a currency in itself. It´s value has been proven for centuries. Bitcoin has already become a work of art. SEN SOIRÉE is a brand new concept, which brings ‘’business people and emerging artists’’ together at an exclusive evening event. This concept is unique in that entrepreneurial storytelling is reflected through artwork. It is the perfect meeting point for anyone who wants to network and meet interesting professionals and artists. Since digital art only makes up a small proportion of the art market, SEN Soirée has bridged the gap between physical art and blockchain by transforming entrepreneurial storytelling into an art gallery extending safe spaces for culture, creative exploration and cultural exchange. a series of innovative art exhibitions have been paying tribute to the diversity of European startups and artists by showcasing entrepreneurs and in celebrating of the 60th anniversary of the Treaties of Rome. The main artwork will be exhibited at Barcelona Tech City on 4 April in Barcelona at Pier 01 – This a digital hub in a historic building that was renovated for startups. Many exhibitions are planned at the site. 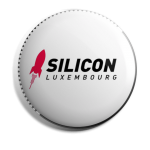 A collaborative Media Alliance contributing to the objective of the European Commission to develop strong local entrepreneurial leadership, cultivate adequate resources and strengthen connections and partnerships among European startups, businesses, artists and community leaders.